Both sexes have tusks; male tusks are larger and heavier. Tip of trunk has 2 finger-like projections. Deeply wrinkled with sparse hair over body. Usually have four toenails on each front foot and three to four toenails on each rear foot. Grasslands, scrub, and forests of Africa. Female family groups. Adult males are solitary or form loose social relationships. 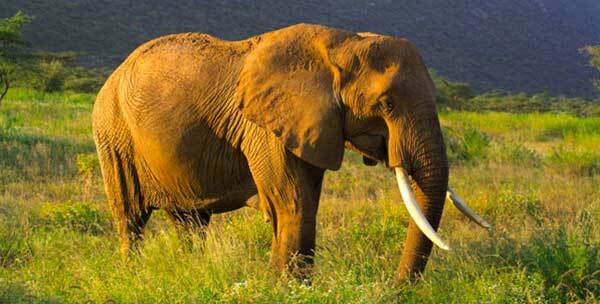 The African elephant is listed as a threatened species. It is considered to be a single species, Loxodonta africana with two subspecies, L.a. cyclotis (forest elephant) and L.a. africana (savanna elephant). Some recent genetic research has suggested that the forest elephant is genetically different from the savanna elephant and represent a separate species of elephant (Comstock et al. 2002). Africa into two separate species. 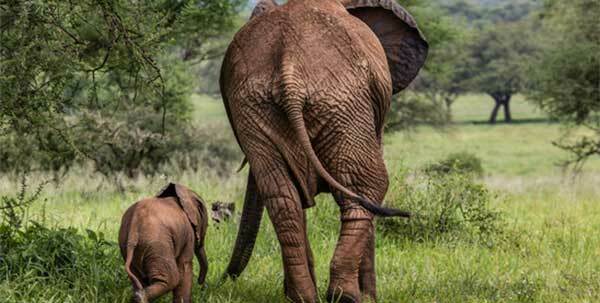 Ongoing and future genetic studies of elephants throughout Africa will ultimately determine their classification. Loxodonta africana currently occur in sub-Saharan Africa, with the majority of the population living in the savanna of southern, western, and eastern Africa and the forest of the Democratic Republic of the Congo (Zaire) (Spinage 1994). Much of the extant population is fragmented by human activities disturbing traditional migratory routes. One of the highest projected human population growth in the next 25 years is expected in sub-Saharan Africa. The total fertility rate for African women remains high at nearly six live births per woman. To avoid malnutrition, sub-Saharan Africa will need to increase its food production three-fold, turning existing elephant habitat into cropland, exacerbating the problem of declining elephant populations and habitat fragmentation. L. africana once ranged throughout Africa. 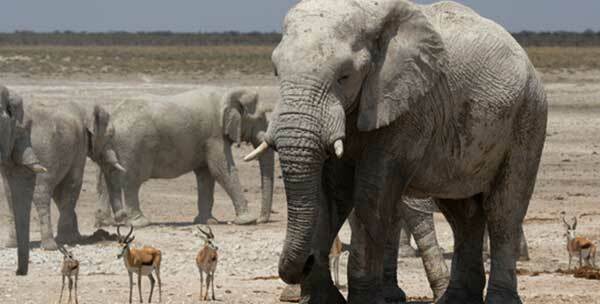 By the middle ages, the species became extinct in northern Africa primarily due to the ivory trade (Scullard 1974). Overhunting during the 18th and 19th centuries depleted elephant numbers in Southern Africa (Hall-Martin 1992). Controlled hunting, a drop in the price of ivory, and the development of wildlife preserves following World War I saw the population of elephants once again increase within Africa. 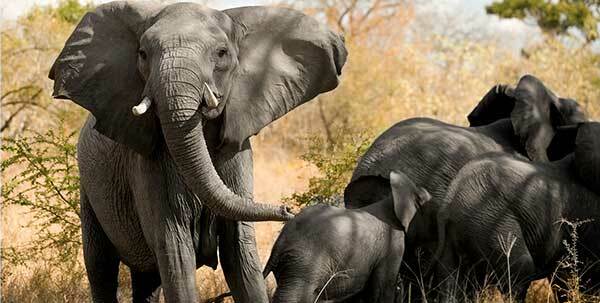 In the 1970s, the increase in the price of ivory reignited the poaching of elephants. The population, estimated to be at about 1.3 million in the early 1970s, dropped by more than half by 1995. Due to uncontrolled poaching, in 1989 the African elephant was listed as Appendix I (endangered) by CITES which placed an international trade ban on elephants and elephant products. In 1997, the African elephant was downlisted to Appendix II in some southern African countries by CITES due to rebounding populations and protection programs. This remains the case today. Appendix II classifies these populations as threatened and allows some limited trade in elephant products with certain restrictions, quotas, and permits. 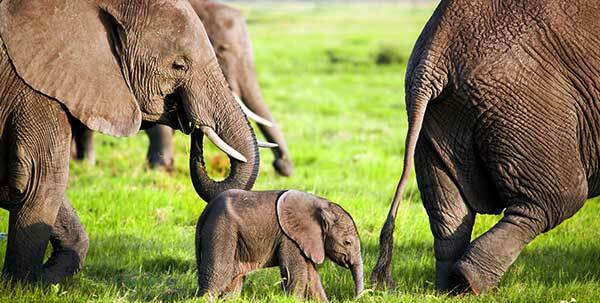 Currently, some elephant populations in Africa are subject to uncontrolled poaching and being hunted for bushmeat. The forest elephant is particularly susceptible, increasingly so as the forests are being logged, attracting more people and making elephant habitat more accessible by building roads. 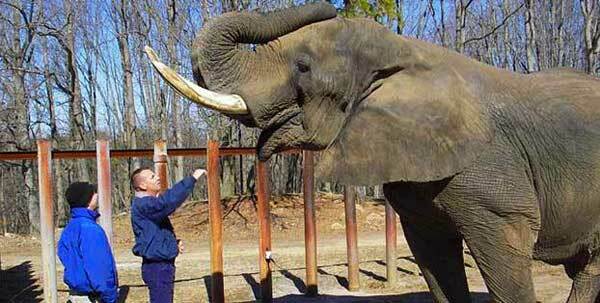 In contrast, some African countries insist they have too many elephants. They demonstrate an excess of elephants by increased elephant-human conflicts and elephant influenced habitat modification, which adversely affects population numbers of other species. These countries are looking for ways to reduce their elephant numbers through translocation programs, birth control, and potentially culling. 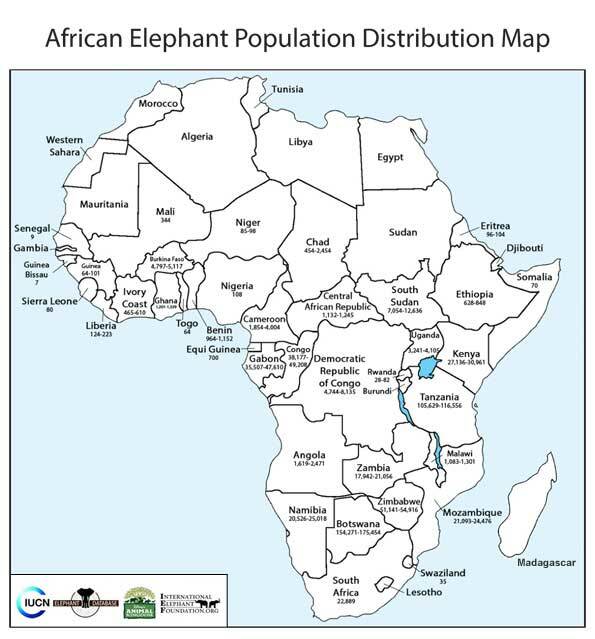 Today the population is optimistically placed at near 500,000 but census analysis done by the IUCN African Elephant Specialist Group suggests the true numbers are lower. The group suggests that the estimates are misleading due to several factors influencing census work including the vast forests where elephants inhabit, rampant poaching, political unrest in some of the range countries, and inconsistencies of survey methods. To better understand the wild numbers, the African Elephant Database 1995 describes five levels of survey types. Aerial total counts and ground total counts where a definitive population can be considered. Sample aerial counts and ground samples with 95 percent confidence limits where a lower (definite), probable, and higher (possible) number is derived from the sampling. Dung counts with 95 percent confidence limits where no definite number is established due to the lack of direct observation, but dung inspection provides a probable figure and a higher possible figure. Informed guesses where expert opinion along with other non-methodical survey systems provide a possible number or a speculative figure. Other guesses where only speculative numbers are provided.